Self-employed? Aside from the income tax, you'll need to pay self-employment taxes that support the Medicare and Social Security programs. However, there are some ways you can reduce the amount you owe. There are many advantages to self-employment in comparison to being employed by someone else, like being able to set your own hours and not having to punch in every morning. But, at the end of the day, your tax obligations are similar to those of employees. Aside from the income tax, you'll need to pay self-employment taxes that support the Medicare and Social Security programs. These tax obligations can be daunting, but there are some ways the self-employed can reduce the amount they owe. Self-employment taxes exist solely to fund the Social Security and Medicare programs. Employees pay similar taxes through employer withholding, and employers must make additional tax contributions on behalf of each employee. The self-employed are required to pay all of these taxes themselves. The Internal Revenue Service requires anyone making $400 or more in self-employment income to file a tax return. The return must include a Schedule SE, which you use to calculate how much self-employment tax you owe. 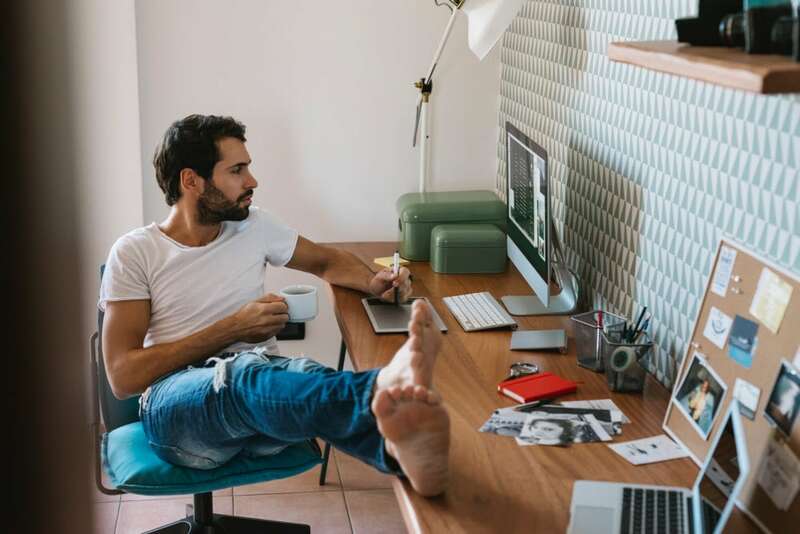 However, when you are filling out your 1040, the IRS allows you to deduct a portion of the self-employment tax payments you make as an adjustment to income. You can deduct between 50 and approximately 57 percent of your self-employment tax payments. The precise amount depends on how much self-employment income you earn. If you create a corporation or a limited liability company, making an S Corp election with the IRS might present some opportunities to reduce your self-employment tax liability. With an S Corp, you generally pay yourself a reasonable salary out of earnings. You can distribute any remaining profits to yourself and any other shareholders or partners or leave the money in the business. In certain situations, the money in excess of your salary is subject to income tax but not employment taxes. For example, if you operate your business as a sole proprietorship and you earn $100,000 for the year, self-employment tax is due on the entire amount. However, under the appropriate circumstances with and S Corp, the amount that exceeds the reasonable salary you make is not subject to self-employment taxes. The Schedule C (or Schedule C-EZ) calculates your net profit from self-employment. You must include this as income on your 1040 and use it on Schedule SE to calculate your self-employment tax. Your net profit is equal to the gross receipts you earned minus your deductible business expenses. The lower your net profit number is, the lower your self-employment tax bill will be. Therefore, to reduce your self-employment tax, you should be extremely thorough when preparing your Schedule C to ensure you deduct every possible business expense. Your business expenses need to be ordinary and necessary to operate your business to be deductible. They cannot be personal in nature. Common types of deductible business expenses include office rent, the cost of acquiring and maintaining a business vehicle, telephone calls, office supplies and equipment. When you use TurboTax, you will be asked about all of your self-employment income and expenses. TurboTax will automatically use this information to calculate your self-employment tax for you.